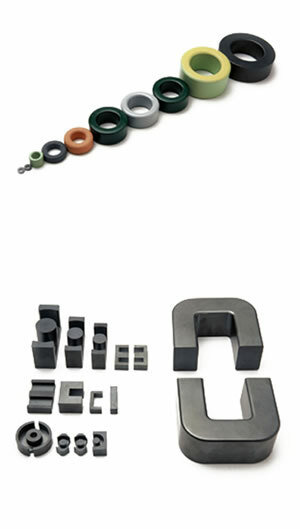 Marque Magnetics has an in-house Ferrite Core production facility, based at the joint venture premises in China. This department boasts 50 production staff, Durst (Germany) ferrite forming equipment and a high capacity-continuous production-annealing oven. Output is currently at 40 tonnes per month and the main products are Manganese Zinc (MnZn) and Nickel Zinc (NiZn) ferrite cores for power and signal applications and iron powder cores for power applications. The facility's major competitive advantage is the ability to produce customised ferrite cores of almost any size. This advantage is due mainly to the low tooling costs involved in producing ferrite moulds, and the operational efficiency of the production staff.